In this selection from Frederick Douglass’s autobiography, Douglass describes his escape from slavery. 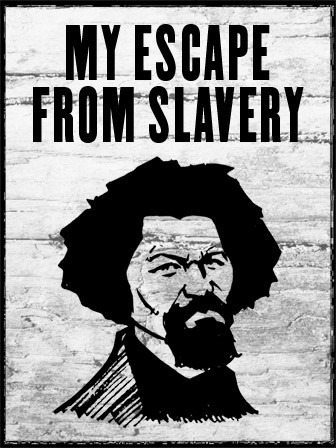 After teaching himself how to read and write, Douglass learned about the injustices of slavery and felt that he had no other choice but to fight for his freedom and escape to the North. This excerpt not only provides students with insight into the defining moments of Douglass’s life, but also serves as a useful tool to begin class discussions about the injustices of slavery and racism, as well as the importance of civil rights and human rights.